I have a 199 chrysler Sebring. the flywheel spins freely. What could cause this? The crankshaft appears to be not connected to the flywheel. Thought it was the starter. I got a new starter but it still won't turn over. Took the starter out and then used a screwdriver to turn the flywheel. The flywheel feels like it's not connected to the crankshaft. Now I believe the starter was not the problem, it's just spinning the flywheel. I believe the crankshaft is supposed to be bolted to the flywheel. In this model (1999 sebring convertible), is that not the case? Or could the bolts have sheared off? Yes the flywheel is bolted to the crankshaft. Have you by any chance checked for spark, fuel, and compression? Please post answers to these 3 things and we can go farther. A screwdriver will allow you to turn the flywheel. Did you look to see if the front of crankshaft is turning? If the flywheel bolts have sheared(I think there are 6 of them) the bell housing would probably be destroyed or really bad noises would be heard during cranking. I think you are missing one of the 3 things needed for starting the engine. You still out there? A year plus from this post, and I have the same issue as the original post on a 96 Sebring 2.5L. 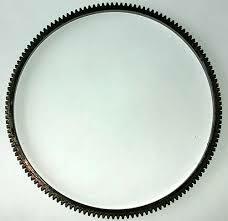 I can spin the flywheel with my finger, but the crank is not turning. I can turn the crank independently from the flywheel. 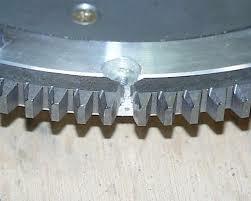 I find it hard to believe all 6 bolts sheared to the crank; does this flywheel have some sort of outer ring? Ya - old thread and no resolution was posted - too bad. Flywheel + ring gears associated with them: I plain don't know how the gear part is attached to your flex plate or on the standard shift cars the heavy flywheel. Back when they were warmed up and other part chilled such that when they were the same temp they stuck like they were one piece unit to the larger part. You would either break the old ones off as in when a tooth was missing or replace the entire unit. Either way I don't really understand how that large ring could just spin free and not turn the crankshaft without wild explosive metal fractures and noises and I didn't think one would stay in perfect position and just slip???? That one shows how you would punch one off. I still don't understand how that could be free and not wobbling all around like nuts? ?